To solve this problem you just need to accept the terms and conditions of the SDK component. To accept the terms and conditions you can use a command line tool sdkmanager. 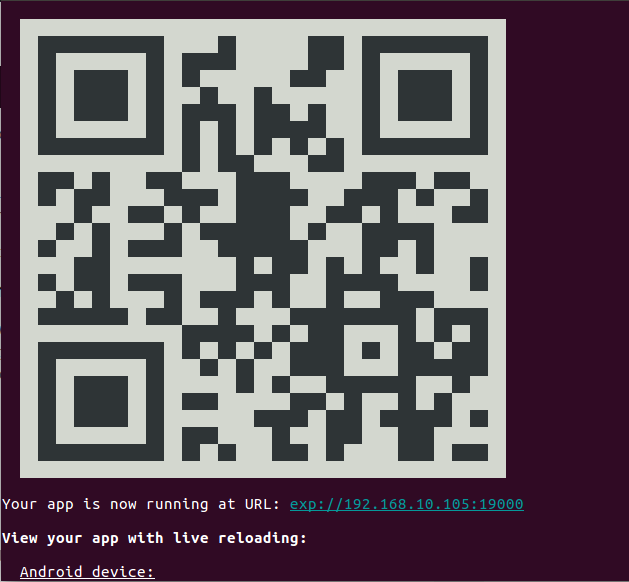 The sdkmanager is a command line tool that allows you to view, install, update, and uninstall packages for the Android SDK. If you’re using Android Studio, then you do not need to use this tool and you can instead manage your SDK packages from the IDE. 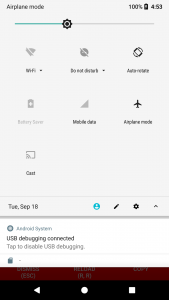 You can find the sdkmanager tool provided in the Android SDK Tools package (For Android version 25.2.3 or higher). That’s it. Now you can run your project again. This is how you can solve the problem of “You have not accepted the license agreements of the following SDK components”. I hope you have also solved the problem. If you have any doubt or you want to share something about the topic you can comment below or contact us here. There will be more posts coming soon. Stay tuned! 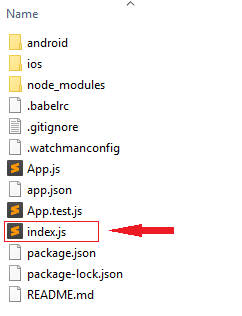 Hey, Guys here is the solution to the problem commonly faced by many of React Native developers that is “Unable To Load Script From Assets index.android.bundle”. 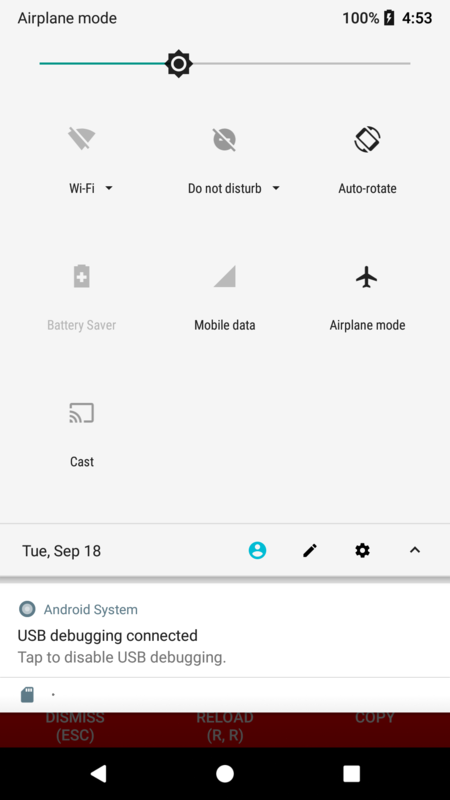 Problem–> Unable To Load Script From Assets index.android.bundle. Make sure your bundle is packaged correctly or you’re running a packaged server. 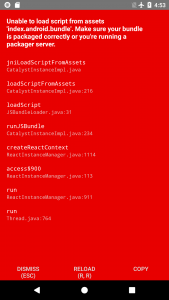 This problem happens when we run the application using react-native run-android and it gets successfully installed in the device but either the development server has not started or if started, the installed app is unable to connect to the development server. We have tried different solutions you can try it with your own. Check whether your device is online or not? If you are running the application on the real device then the device should be on the same network where the development server is running. These 2 simple checks can solve the problem easily. When we run npm start it took some time as per your CPU and RAM configuration but in some cases, it took more than an hour which is a problem. If you are fighting with the same here is the solution. 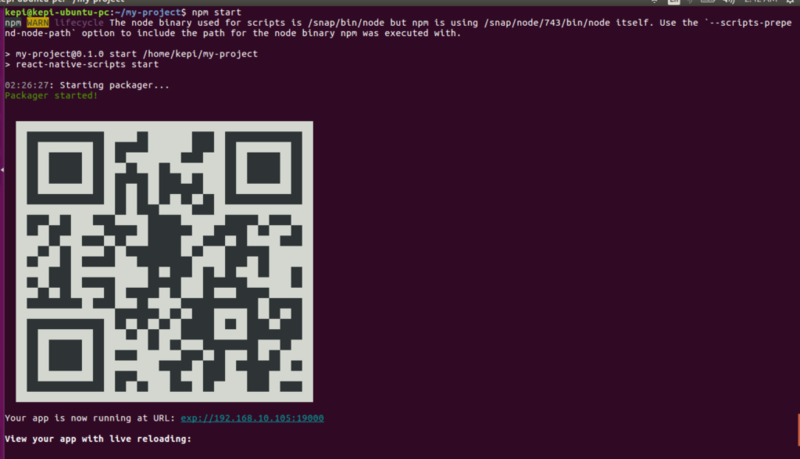 after running npm start when it shows “starting/running packager.” just press ‘q’ it will display the QR code, but it won’t display the QR code automatically. If you don’t press ‘q’, it will just say “starting/running packager”. Windows Users can uninstall npm and node and can download the latest one and install. If you have any issue please follow this post to install node and npm. Then go to /etc/apt/sources.list.d and remove any node list if you have. It will remove your npm and nodejs completely. Also remove the node_module from your package too. If you have any other concern about node and npm installation please have a look at this. This will take some time as this will make the node_module directory again by installing the node dependencies. After that try to run following command again to run the project in Expo Client App. Hope it will work as it worked for me. https://aboutreact.com/wp-content/uploads/2018/07/Screenshot-from-2018-07-17-01-11-45.png 176 737 Snehal Agrawal https://aboutreact.com/wp-content/uploads/2019/04/attempt7-300x108.png Snehal Agrawal2018-07-15 17:30:312019-03-27 02:50:41Problem - After running "npm start" execution got stuck on "starting/running packager.."
While ejecting your project out of Expo environment you can face this problem. To solve this problem, the solution is simple just install react-native-cli using the following command.